Talented Russian craftswoman Vera Megorskaya lives in Krasnodar. The girl grew up in the artistic family and has always loved to make things with her hands. Besides, the girl’s step father is a painter and sculptor, and it was him who taught her basic knowledge in art. Once Vera noticed wool and special needles in a craft shop, she decided to try her hand. 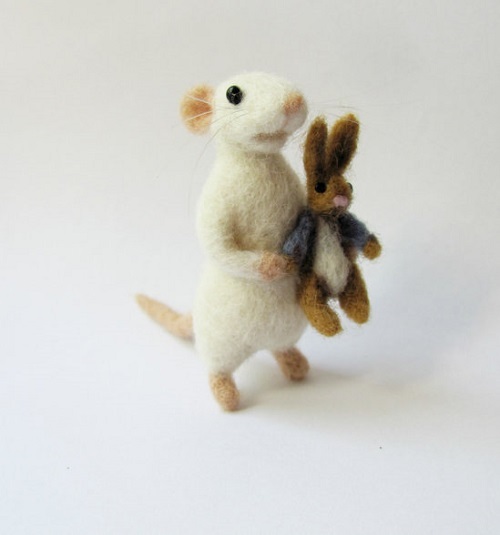 And she couldn’t stop creating her felted cuties… Now, after 5 years of needle felting, the crafts has become her full time job. Meanwhile, Vera’s Shop on Etsy “Handmade by November” has more than 2000 miniature felted birds, mice, foxes, bunnies, dogs and cats. In the history of Russian art, and in particular, the late nineteenth century was a period of creative innovation and a fundamental restructuring of form. Thus, in the 1890s, a generation of artists who radically revised almost the entire range of established tradition, opened a new chapter in Russia’s visual arts. The World of Art group, which gave rise to this forceful and influential movement, was formed in St. Petersburg in the early 1890s. In 19885, Savva Mamontov established his private opera company in Moscow, enlisting many prominent artists to work as theatrical designers. This laid the foundation for a new type of stage decor, having nothing in common with traditional stereotypes. 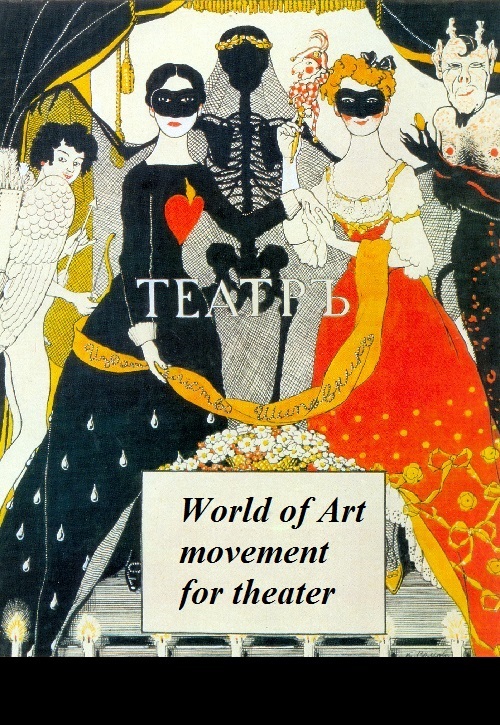 All World of Art members were strongly attracted to the theater. Much later, in his memoirs, Benois admitted that throughout his life he worshiped the theater, that in his mind the concept of “artistry” was always associated with the concept of “theatricality”. The same is true of other World of Art masters who dedicated themselves to stage design and book illustration. For those who love to discover the hidden codes in paintings, any Dutch still life is a real find. In allegorical still life vanitas even the smoke from the pipe is not just smoke, but an ephemeral symbol of our hopes. Dutch still life – a corporeal admiration of the world. Even when the canvas depicts a luxury edibles and cups of wine, they are symbols of death and the transience of earthly life. 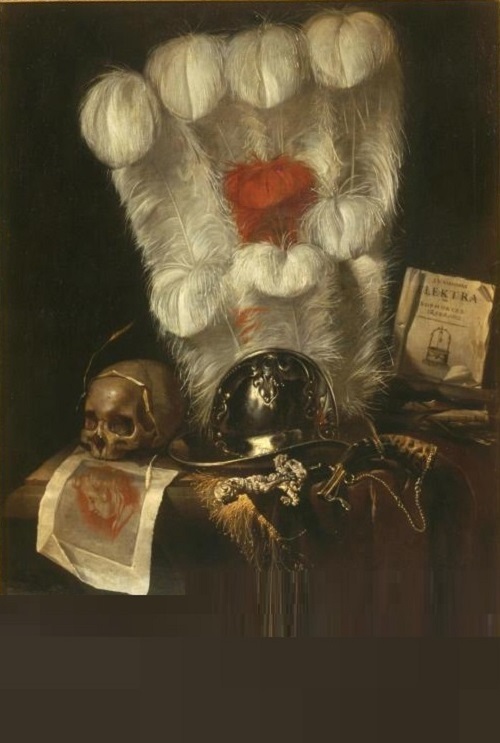 Dutch Golden Age painter of still lifes Juriaen van Streeck (1632 – 1687) demonstrates such type of vanity of vanities, indicating the transience of life. Russian artist Grigory Kuznetsov was born in 1959. He has been a member of the International Art Foundation since 2002 and the Artists Union of Russia since 2004. 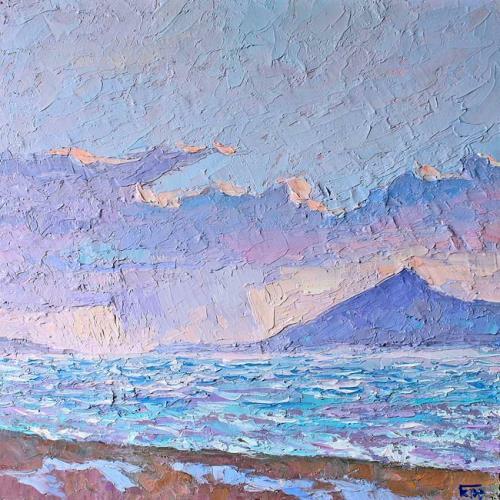 It is safe to say that the work of Grigory Kuznetsov combines “algebra and harmony” – namely, emotional and carefully tuned composite construction. Perhaps, that is due to the fact that the artist, who had in his luggage technical educations, graduated from the Surikov Art Institute in 1996. He is able to see the world through the eyes of both – physics and lyrics. Russian doll artist Larisa Isayeva (kuklaelli) lives and works Yekaterinburg. She creates dolls on different themes – fairy-tale characters, movie characters, cartoons, literary characters, dancers, puppets of different nationalities, and more. Larisa Isayeva works in mixed technique, and in particular, she combines the modeling of polymer clay and textile parts on a flexible framework, as well as sculpting articulated dolls from polymer clay. Like cartoon characters, her dolls “come alive” because they are mobile and can change poses due to wire frame. According to the doll master, it takes her to 14 days to create one doll. 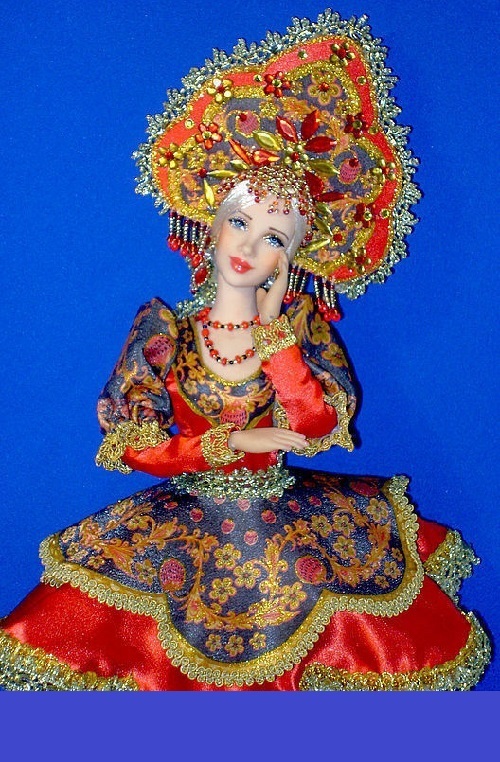 In addition, many of her dolls are made in Russian style, for example, Khokhloma and Gzhel. Dressed in national folk costumes, made of fine textile – velvet, brocade, leather, lace, feather, embroidered with beads, and sequins. 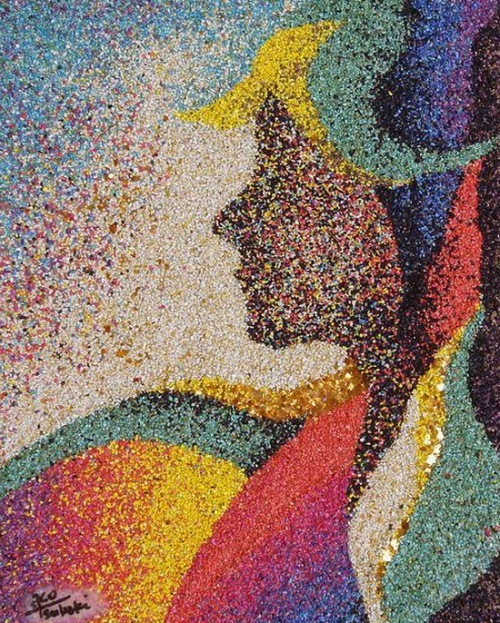 Osaka based artist Ako Tsubaki paints one-of-a-kind pictures using granulated colored sand. Ako Tsubaki is a sand painter with a lively and vivid imagination, which is quite obvious. The process behind the creation of these paintings is quite simple: “I spread glue on the canvas and sprinkle it with sand as it was intended. Sometimes mark out the contours of the future picture, and sometimes what I get – full Impromptu,” says the artist. 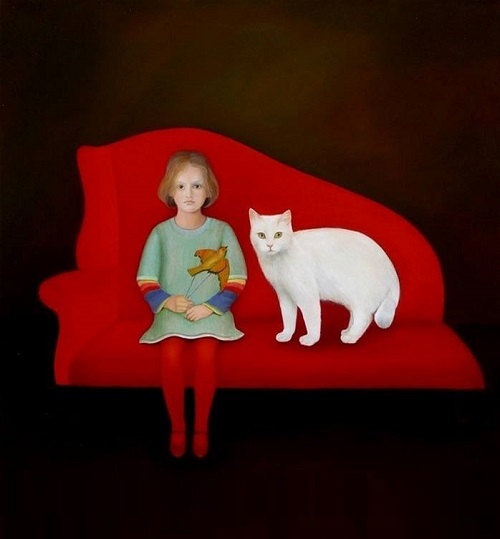 Argentinian artist Norma Bessouet was born in Buenos Aires. The talented girl learned basic elements in painting and drawing in childhood. And it was her mother who taught Norma first steps in art. Norma Bessouet studied at a Manuel Belgrano Fine art school (1964) and Prilidiano Pueyrredon Academia of Visual Art, from which she graduated in 1967. Five years later she traveled to London to study graphic arts at London University of Fine Arts on the British Council grant. Norma lives and works in New York and Buenos Aires. She is a permanent participant of solo and group exhibitions in art galleries and museums of Argentina, the United States, Venezuela, Brazil, Spain, Cuba, Uruguay, England, and Sweden.